A counting book full of numbers, words, and beautiful objects to discover. In this clever lift-the-flap book, each page appears to have only one object on it. But lift the flaps and look again to discover what's really going on. An egg cracks open to reveal one baby chick. A tulip is hiding two butterflies, and a blanket reveals three kittens. Each page reveals brilliantly colorful surprises–from one to ten of them, in fact! 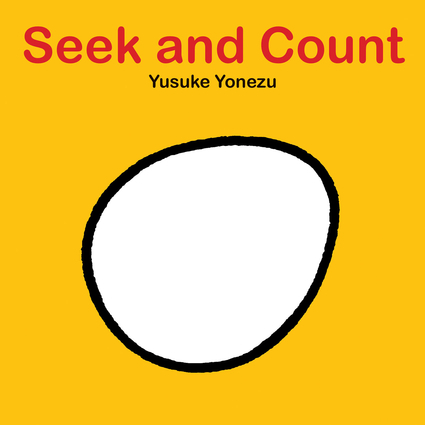 A fun counting book that will appeal to young children's love of peek-a-boo delights. Yusuke Yonezu is an author and illustrator who was born in Tokyo. More than two million of his books have been sold worldwide in numerous languages. His books include the Guess What? series, 5 Little Apples, Bottoms Up!, Triangles, We Love Each Other, Who is Smiling?, and Why Cry?—all published by minedition.